What is Leap Second ? Nowadays do you even remember that Earth’s rotation around it’s own axis determines the length of a day or 24 hours (close enough) ?!?! The thing is, Earth’s rotation is slowing down, very slowly, that means the leght of a day is not a precise 24 hours. Since we use Atomic clocks to synchronize time around electronic devices and those Atomic clocks are damn accurates, from time to time there's a difference between them. When this difference approaches 0.9 seconds a +1 second is added to UTC, last time it occurred was on June 30, 2012. 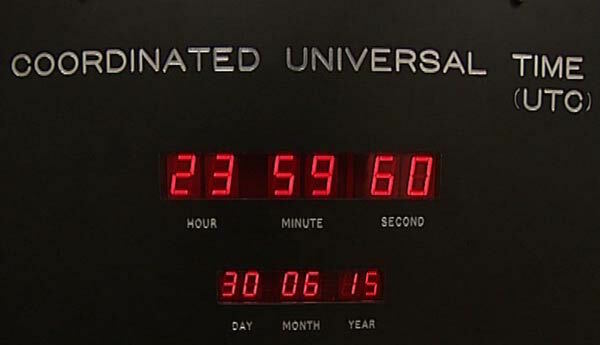 So on Jun 30, 2015 23:59:60 UTC a leap second will be added. Pay attention: It will be added at UTC time zone, if you are on a different zone, the change will occurs at another time of the day, example: on EST it will occur at 19:59:60. 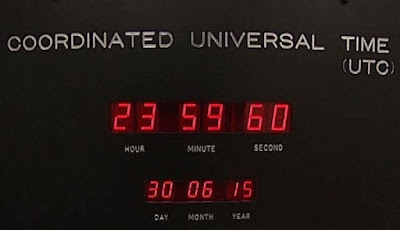 Now that you understand what Leap Second is, let’s see how it does impact VMware’s products. First and most important, it will only, potentially, affect systems that are configured to receive time synchronization from NTP server, so I assume everything is affected. If you are not using NTP for synchronization, start remediating it NOW. Second, it depends of how the operational system handles the Leap Second adjustment and each one will handle that differently. There’s a common sense that you should change your NTP to slew mode, which will not make huge adjustments on it’s own time and will compensate the Leap Second progressively. VMware’s has created a KB2115818 with all affected systems and how you address it on every one of them. Also there’s a KB2121624 which shows systems not affected by the Adjustment. Here's a link If you are interested on learn more on Leap Second. And if you are wondering if it still make sense measuring our time based on Earth’s rotations here’s another one. This post is another contribution of one of my friends, he's a VMware's Technical Account Manager, in fact he’s the oldest VMware’s TAM in Brazil, combining deep expertise and business oriented approach, he has been helping dozens of clients to extract the most of their VMware's products while bring to them all the innovation VMware has to offer, please, meet Jean Oliveira. One of Jean’s clients wanted to replace vRealize Log Insight self-signed certificate with an certificate provided by an internal Microsoft CA. Despite the fact you find the details on the documentation, he found a little bit more of information was required, so he created this procedure to avoid keep jumping back and forward for information. obs: req_extensions specifies the section that defines extensions to add to a certificate request, where v3_req is the name of the section we want because it allow us to specify Subject Alternative Names (SAN). Now that you have your CSR it’s time to submit it to your CA and get your certificate back. obs: “Certificate Template:WebServer” is the certificate template to be used, if you have another one you want to use just adjust the name accordingly. Before you upload the certificate on Log Insight you need to concatenate them, so the root CA, intermediate CA (if any) an your certificate is all in on file. Finally you have your certificate ready, it’s time to upload it. Let us know if it works for you !! !